From the author of Plum Island and Nightfall comes this new novel of a U.S. Army combat veteran about to set sail on a life-or-death cruise mission while the “Cuban Thaw” is underway between Havana and Washington. A charter boat captain in Key West, Florida, gets an offer he can't refuse in Nelson DeMille's latest novel … [Mac is] in desperate need of financial help since the bank loan for his vessel is quite extensive, not to mention living in Key West. Jack, his partner and first officer on various jaunts, is old and quite cranky, so they're a perfect match to work together … The Cuban Affair feels authentic and real, and it provides knuckle-white tension mixed in with levity. 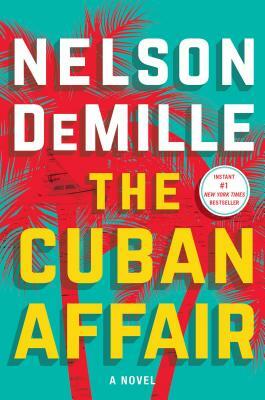 The opening of The Cuban Affair is dynamite — crisp, funny and dramatic — and the climactic conclusion is masterful action writing, fast, precise and genuinely gripping. What becomes in between, though, is curiously static … DeMille pumps up the suspense with direful warnings of ubiquitous secret spies and gruesome torture chambers, but Mac’s Cuban nemeses are more Keystone than Castro. His personal adversary is their tour guide-turned-informant Antonio, who says things like ‘Cuba is like a mother who welcomes the return of her sons and daughters,’ and who is easily bamboozled by appeals to his personal vanity. It’s hard to make the bad guys chillingly sinister when they seem like bumbling clowns. The Cuba that DeMille portrays is colorful and has some fascinating historical landmarks, but it is at bottom a corrupt police state. Mac is stepping into a situation of extreme danger. The plan sounds solid, but it is very far from a sure thing … Mac is DeMille's narrator, and his distinctive personality and voice dominate the razor-sharp storytelling. 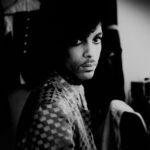 Mac's military experiences during two tours in Afghanistan are his personal context for understanding the complex situation in which he has placed himself … The Cuban Affair is a largely satisfying performance by a seasoned pro. Nelson DeMille blends a wide range of story elements and techniques with assurance and daring. And his prose marches to a compelling drumbeat. What did you think of The Cuban Affair?